17 Juniors and Sophomores from WHSAD attended the Future In Focus: Exploring College and Careers Fair on Thursday, March 9th 2017. 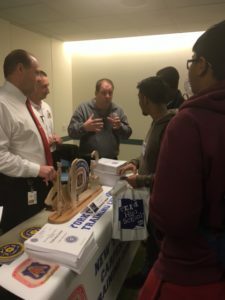 The fair provided our students with information into the world of college and careers. 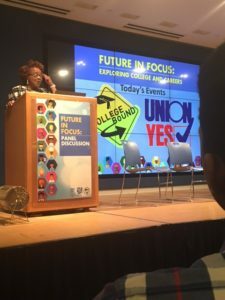 The all day session included presentations on an array of post-secondary opportunities and the benefits of work in organized labor, including apprenticeship programs. Our students met with members of several construction and building trade unions. 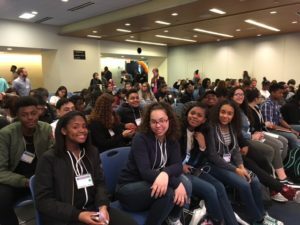 Additionally, they had the opportunity to hear from current college students on their experiences in selecting a college and major followed by a college fair where they spoke to representatives from various CUNY, SUNY and private colleges.